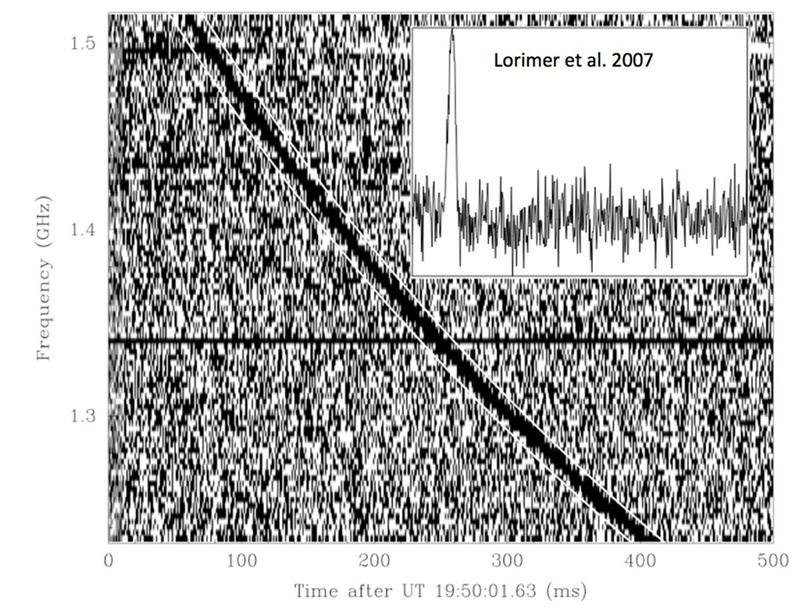 In 2007, the very first “fast radio burst” (FRB) was caught by astrophysicist Duncan Lorimer through a radio telescope in Australia. In an interview with Discover Magazine, Lorimer notes how remarkable this discovery was. Ultimately, it was one of the brightest observations ever recorded in the history of radio astronomy, and it came from billions of light-years away. Remarkably, the event lasted just a few milliseconds. For years, the sighting has baffled astronomers. Indeed, in many ways, they still baffle us. Though we have since detected over a dozen FRBs, these detections happened over the course of nearly 9 years. And if you aren’t aware, one detection a year is rather remarkably small. So to date, the origins of the FRBs remain a mystery, but we are making some headway. Initially, some believe that the FRBs were caused by interference from Earth’s electronic devices; however, that was quickly dismissed, as radio signals follow a pattern, while the FRBs were random. Others (many, in fact) thought that the bursts were some other kind of artefact—interference and errors with collection processes. However, in early 2014, a team at Arecibo Observatory in Puerto Rico announced they’d seen an FRB. Two telescopes on opposite sides of the planet observed the same phenomenon. This finally won over the skeptics—we knew that the radio bursts were real and originated in outer space. The most compelling theories have, thus far, been that the FRBs are caused by collisions between dead stars—gargantuan explosions that result when stellar remains collide—or periodic outbursts caused by pulsars. The latest research surrounding FRBs conducted by the National Science Foundation’s Green Bank Telescope in West Virginia strengthens the theory that the phenomenon originates in other galaxies caused by stellar outbursts. “Our main result is that the source of the burst is surrounded by a region with a magnetic field and dense gas, like that of a star-forming nebula, a supernova remnant, or galaxy’s central region,” The University of British Columbia astrophysicist KiyoshiMasui says in the release. However, despite recent findings, certainty regarding what causes the FRBs remain elusive, with astronomers and theorists saying that there is a need to collect further data and consider other alternatives before anything definitive is reached. But we are well on our way. “It has been exciting to see it go from an oddity to something tangible,” Lorimer says.